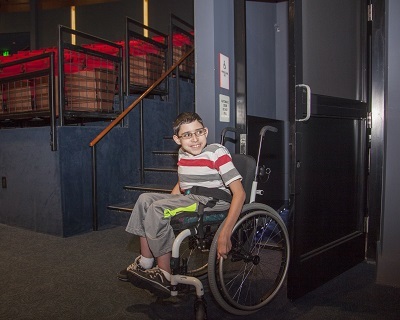 Both the Hubbard and Neuhaus Theatres have wheelchair- and scooter-accessible locations where patrons can remain in their wheelchairs or transfer to theater seats. 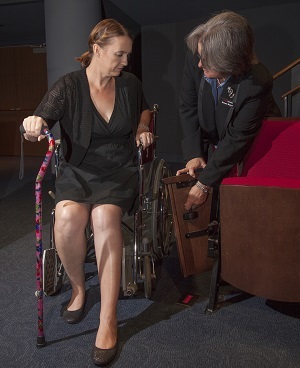 Patrons who cannot or do not wish to transfer from their wheelchairs to a theater seat should request wheelchair-accessible locations when ordering tickets. Accessible seating is available online, by phone, or in person. To help us better serve your seating needs, we recommend that you purchase your tickets in as much in advance as possible. 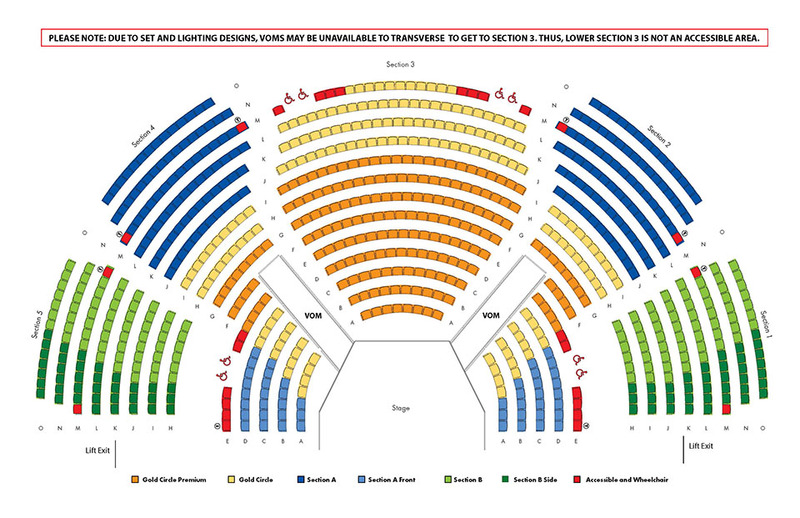 For a seating map of the Hubbard and Neuhaus Theatres, go here. The newly renovated Hubbard Theatre has eight wheelchair dedicated seats, each with a dedicated companion seat. Four seats are in Section 3, Row M and four additional seats are located in side Sections 2 and 4 on Row E. There are an additional eight seats (seats with adjustable armrests) for transfer only or plus size accommodation. Click here for a seating map, transfer seats are indicated with a 'T'. In addition, extra wheelchair accessible restrooms for men, women, and families have been installed in the Long Lobby. New passenger operated lifts have been installed to access the side sections. Please note that Rows M and E are the only rows accessible in the theatre without the need to take steps. There are four dedicated wheelchair seats along with a dedicated companion seat available in row A of the East and West sections. There are an additional four seats in row A within the East, West and South sections with an adjustable armrest for transfer only or plus size accommodation. A wheelchair accessible stall is available in each gender’s main restroom. A family/companion restroom is adjacent to the women’s restroom. Click here for a seating map of the Neuhaus Theatre. The Box Office is located on the street level facing Texas Avenue. Rows M and E are the only rows accessible in the theatre without the need to take steps. Elevator to inside the Neuhaus: 80 feet There is a slight rise from the ticket scanning checkpoint to the theatre.